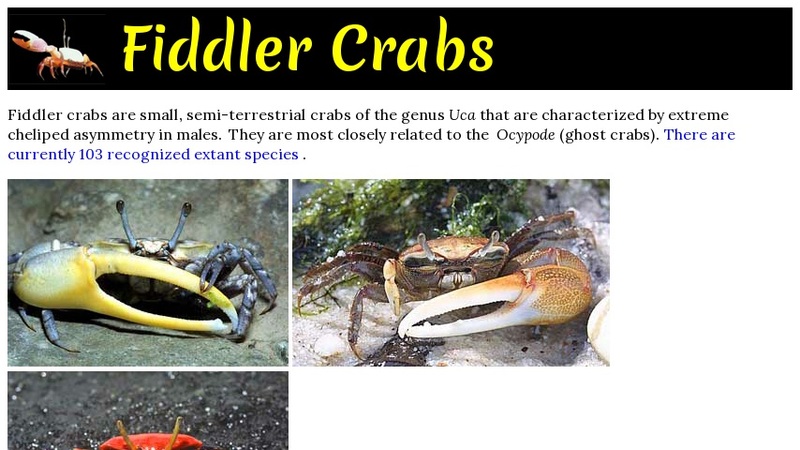 Short introduction to fiddler crabs (Genus Uca), their worldwide distribution, biology, ecology and systematics. Profiles of individual species include: zoological classification, morphology, geographical range with maps, scientific name (where known) and synonyms, references. Supporting videos (sorted by activity) and still photos of crabs in their habitat.